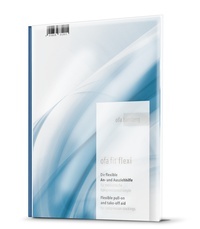 Ofa Grip special gloves make it much easier to put on medical compression stockings. 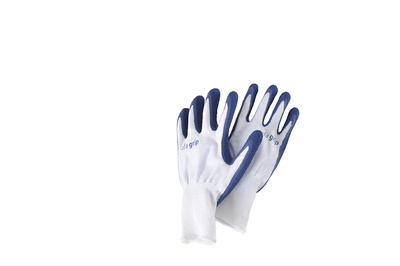 They have an outstanding fit and are equipped with a special coating. This ensures a safe grip and helps spread the stocking evenly on the leg. The knit is also protected from jewellery and long fingernails and damage is avoided. Ofa Grip special gloves make pulling on compression stockings easier for you and at the same time go easy on the knitted fabric. Jewellery and long finger nails can quickly damage the stocking. Please ensure you don’t pull the stocking upwards at the top end but glide your hands smoothly from bottom to top. The special gloves provide for a better grip of the fabric and make it easier to arrange the knitted fabric evenly along the leg. Therefore, always make sure to use gloves when putting on stockings – also in combination with Ofa fit, the practical pull-on and take-off aid for compression stockings. Ofa Grip special gloves are available from your specialist dealer. Our tip: Pull on your stockings as soon as you get up in the morning while your legs are still free from any swelling. 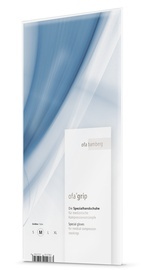 Make putting on and taking off your compression stockings easy with Ofa Grip, the special gloves from Ofa Bamberg. The surface structure of the gloves provides a secure grip and helps you to distribute the stocking evenly along the leg – for optimal wearing comfort. Have a look at our video!